If you have a frequently-used conference room, you already know how much of a hassle connections can be. Every computer system is different, and switching from one source to another can be frustrating. Enter the Wireless Video Presentation System II from Black Box, a wireless video system capable of sending computer video signals over a simple wireless network. The idea is simple: connect your computer to the Black Box WVPS II's wireless network, install their software, and your computer streams video data over the wireless network. In practice, the WVPS II has quite a few tricks aside from just simple projection. It also has a few flaws that one might not anticipate. But all in all, for a high-volume shared conference space, it's a good investment at $449 direct from Black Box or as low as $380 from licensed resellers. What the WVPS II does, in its simplest form, is removes the need to connect audio and video cables between projector and computer. It also allows you to connect more than one projector at a time; up to four can be displayed in split-screen, with more participants connected and waiting in the wings. Browser-based conference management software allows the meeting host to control whose turn it is. The WVPS II is ideal for a conference room that is shared by a large number of people, especially if some of those people come from outside your company or use non-standard laptops. Since laptops these days use a wide variety of video connections ranging from VGA to DVI and HDMI as well as all manner of proprietary connectors, this is not an uncommon situation. The WVPS II can be attached to any projector with a VGA port, but it can only output three resolutions: 1024x768, 1280x768, or 800x600. 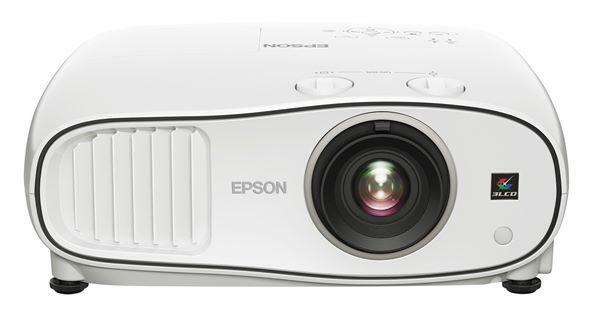 For the best visual experience, use a projector with one of these native resolutions. The presenters' laptops must be connected to the WVPS II's own wireless network during use, so anyone relying on WiFi for their Internet connection will need to make alternate arrangements. Luckily, connecting the WVPS II to your workplace's wired network allows the unit to serve as a wireless bridge. If your presenters need Internet connectivity, make sure to run an RJ45/ethernet cable to the WVPS II unit. I like to use this Black Box WVPS II equipment for one of my Audio visual project. please let me know where can i source this. I cannot get this system to connect to my IPhone Any solutions? Peter - In order to use your iPhone with the Black Box WPS unit, you need to go to your APP store and download the APP called MobiShow. This is a third party application which will allow you to share PPT, images and videos from your iPhone to the WPS system. At this time there is no way to share your iPhone screen on the Black Box WPS unit as we need root access to the mobile device, in which case Apple does not grant us. If you use an Android mobile device, you can download the app MirrorOP Sender from the APP store to share your Android screen on the Black Box WPS unit. I hope this helps. If you are looking to source this device for an application or project, Black Box can sell direct. You can go to the blackbox.com website and type in the part number of AC1132A in the search tool to begin the process. Maybe I missed it but is there an android app for this? Black box has video conferencing apps? No doubt Blackbox will clutter the use of cables for giving presentations but its lacking in some areas. Why to download an app for iphone when there is a option of Airplay.